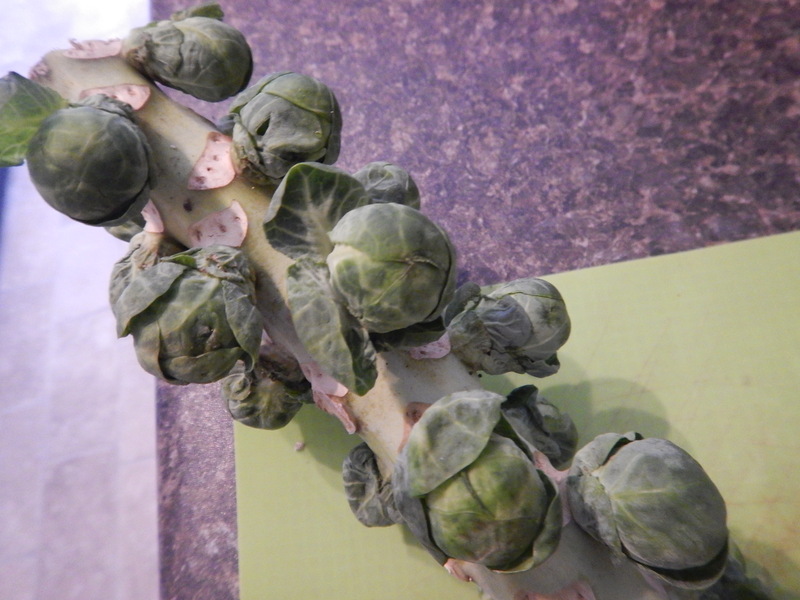 Last Saturday, I was walking along in the market and came across a bushel of brussel sprouts. I’ve only ever seen brussel sprouts in the grocery store before, taken off the stem and bagged. I had no idea that they grow on a long tree-like stem, right out of the ground. Well, that sounded like a culinary adventure to me! These are brussel sprouts, still on the vine. I just had to pick one up when I saw how cool they looked! Close up, they look like mini cabbages! They were so cute! This recipe was incredibly easy. 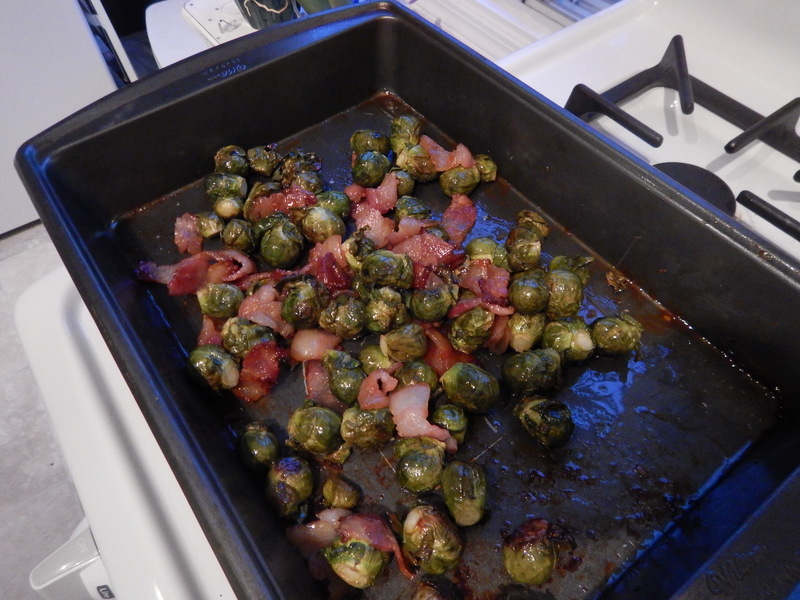 It only had three ingredients: Bacon, maple syrup, and brussel sprouts! 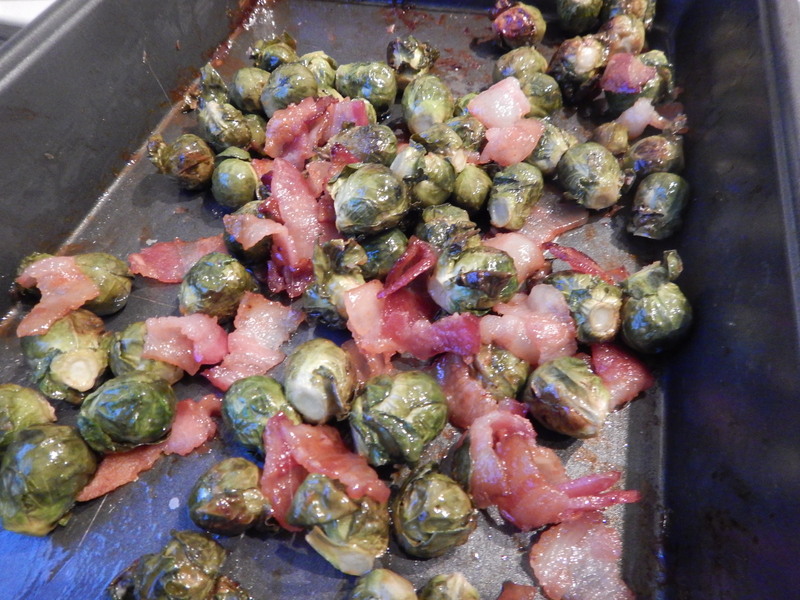 You roast them all together in the oven, until the bacon is crispy. Here they are, ready to be devoured! Pre-heat oven to 375. Clean and remove brussel sprouts from the stem. Add them to a large baking dish. Slice up your bacon and sprinkle on top. 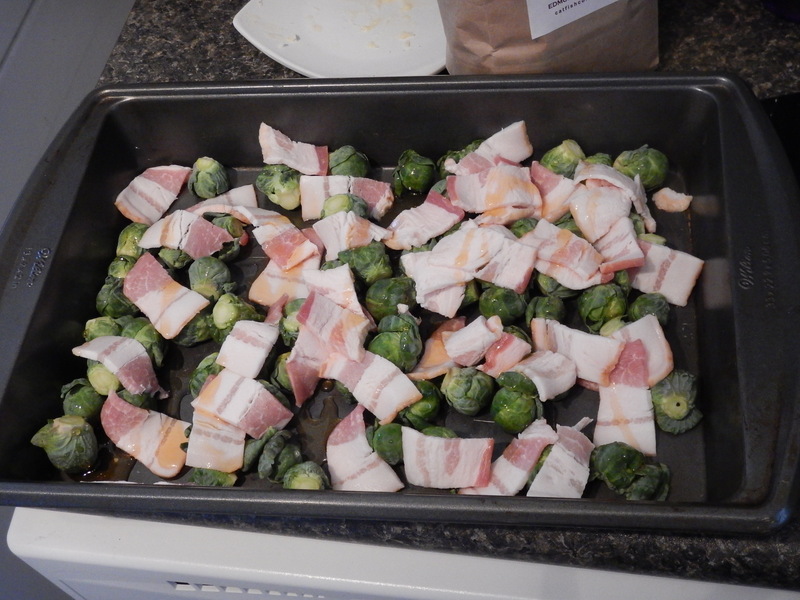 Drizzle bacon and sprouts with maple syrup. Bake at 375 for 25-30 mins, stirring once, until bacon is crispy. Serve as a side.